Luulu White Collection is the quintessence of elegance and good taste. What makes it so beautiful is high quality, sophisticated and modern design, innovative solutions, smooth finish with high gloss and delicate interior. The geometric shapes, orderly lines and excellent proportions, so characteristic for the entire Luulu Collection, perfectly correspond to the piano whiteness. This Collection was designed for modern women who wish to be surrounded by exclusive things and are fond of simple, but sophisticated design. The Italian calf leather inside Luulu White small bed is ideally smooth when touched and hyper allergic. It provides the highest quality finish. In order to decorate the small bed Swarovski crystals were applied in the upper part of the gondola, like stars in the sky. Beautiful quilted interior decorated with Swarovski’s crystals add elegance and refinement to the padding in the small bed. Multi-directional wheels which allow you to move the small bed freely to any place at home and handles enabling easy rocking and moving perfectly combine elegance and comfort. 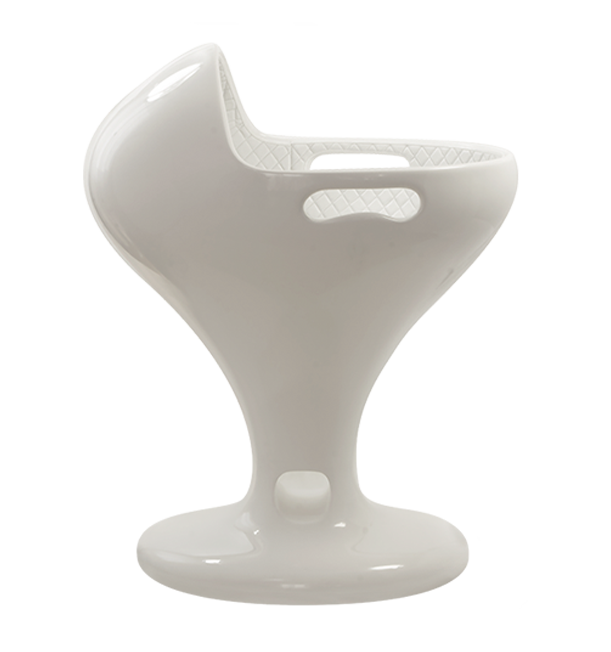 Luulu White Collection is a prestigious decorative element of every space, from the living room to the children’s room. Thanks to Luulu your small sweetie feels safe and falls asleep easily, whereas you get a pretty and useful decoration for your home. It may always be close to you. Luulu small beds bring a big amount of unrepeatable atmosphere, subtle elegance and charm to your home. In addition, it is worth emphasizing that the materials used in the manufacturing process of the small beds are the most beautiful ones and of the highest quality. The baby’s nice dreams are related to the appropriate bedding which was so cautiously prepared to provide the small dreamer with a sense of safety and comfort. Should you like to be surrounded by luxury, Luulu White small bed will certainly meet your expectations.